The Greenback strengthened against the Eurozone's single currency, following the US PPI data release on Wednesday. 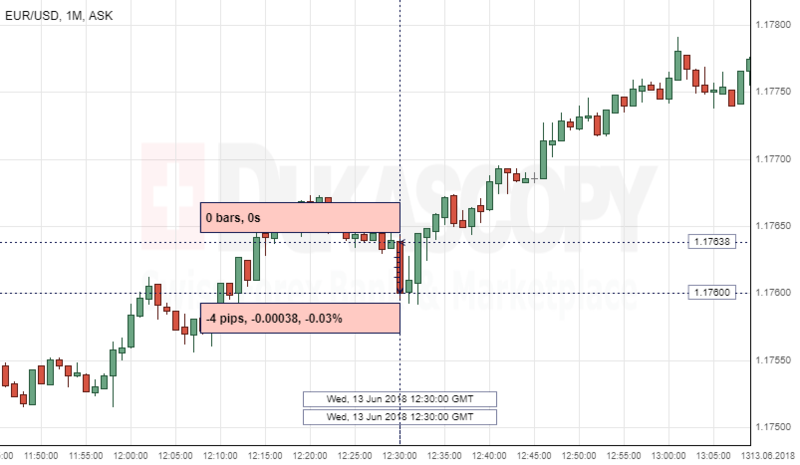 The EUR/USD currency pair lost four pips, or 0.03%, to continue fluctuating in the 1.1775 area. The Bureau of Labor Statistics released Producer Price Index data that came out better-than-expected of 0.50%, compared to the forecast of 0.30% and 0.10% in the previous period. On Wednesday, the Labor Department said that the increase in the Wholesale Prices was boosted by the surge in gasoline prices and continuous rise in the cost of services. The British Pound strengthened against the Greenback, following the UK Retail Sales data release on Thursday. The GBP/USD currency pair gained 25 pips, or 0.19%, to continue fluctuating in the 1.3435 area. The Office for National Statistics released Retail Sales data that came out better-than-expected of 1.3%, compared to the forecast of 0.5% in May, but lower from the previous period. 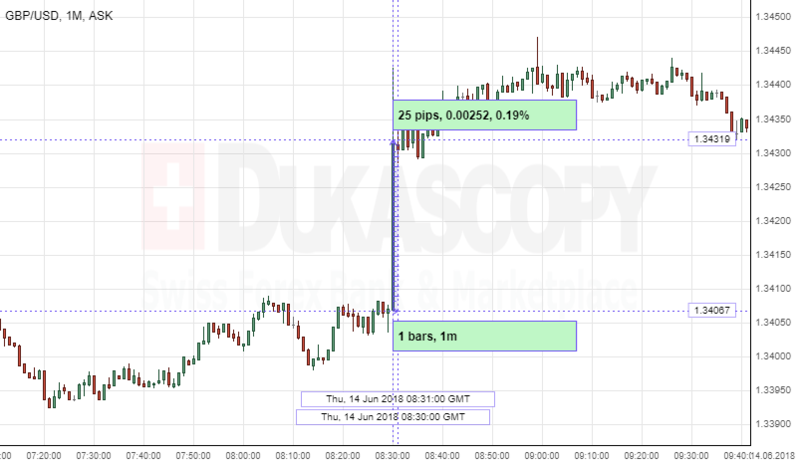 The initial reaction from this news on the main pairs was the rise of the British pound against the Canadian Dollar and Japanese Yen, but caused the downwards movement against the Eurozone's single currency. The reason mentioned by an analyst is the Royal Wedding, which boosted the sales.